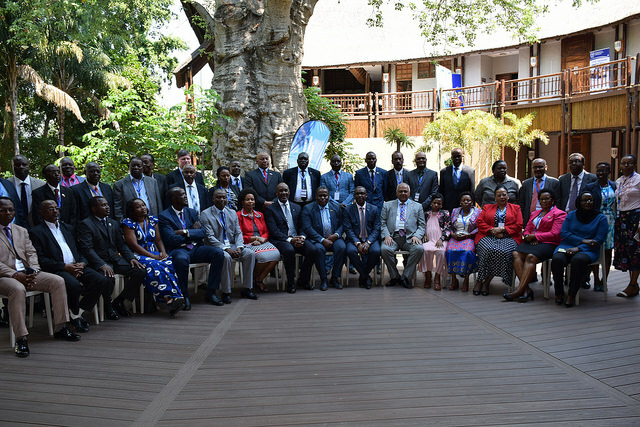 The 11th Conference of Minister (CoM) Meeting was held at Cresta Mowana, Kasane, Botswana, from 19th to 20th November 2018. 16 member States attended the meeting. The member States were: Botswana, Eswatini, Ethiopia, Kenya, Lesotho, Malawi, Mauritius, Namibia, Rwanda, South Africa, South Sudan, Sudan, Tanzania, Uganda, Zambia and Zimbabwe. The Chief Guest, Hon. Minister, Mr. Onkokame Kitso Mokaila, Ministry of Transport, Botswana, opened the meeting on behalf of His Hon. the Vice President of the Republic of Botswana. 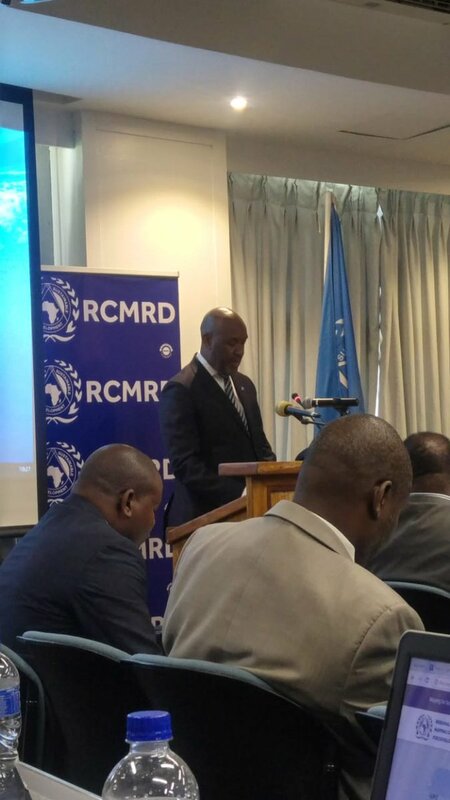 In his opening remarks, he conveyed his gratitude for the opportunity of welcoming RCMRD delegates to the 11th Conference of Ministers. He warmly welcomed the delegates to Kasane, Botswana. Ms. Fatina Mukarubibi, Permanent Secretary, Ministry of Environment, Republic of Rwanda, on behalf the Outgoing Chair, the Hon. Dr. Vincent Biruta, Minister of Environment, Rwanda, gave her remarks and vote of thanks to the guest of honour for gracing the opening of the CoM. Further, she thanked the Government of Botswana for the successful hosting of the 52nd Governing Council (GC) meeting in Kasane, Botswana. The Hon. Minister, Mr. Kefentse Mzwinila, Ministry of Land Management, Water & Sanitation Services, was elected Chair of the CoM. The Conference of Ministers adopted the following reports: i) The Report of the Governing Council; ii) Evaluation of the 2015 – 2018 Strategic Plan; iii) the Strategic Plan 2019 - 2022. The 12th Conference of Ministers will be from 9th – 18th November 2020, and will be hosted by Uganda. A vote of thanks was given by the Hon. Minister from Mauritius. He congratulated Uganda for having accepted to host the 12th CoM. He conveyed his appreciation on behalf of the delegates to the Government of the Republic of Botswana for hosting the 11th CoM and for the hospitality extended to the delegates. The delegate further thanked the RCMRD for organising the 11th CM. He concluded by thanking all the delegates for coming to Botswana and for actively participating in the meeting. He thanked the Chairperson for guiding the meeting very well and thanked the partners for their support. The Chairperson invited the Hon. Minister, Ronald Machana Shamukuni, Assistant Minister for Presidential Affairs and Public Administration, to deliver the closing remarks. 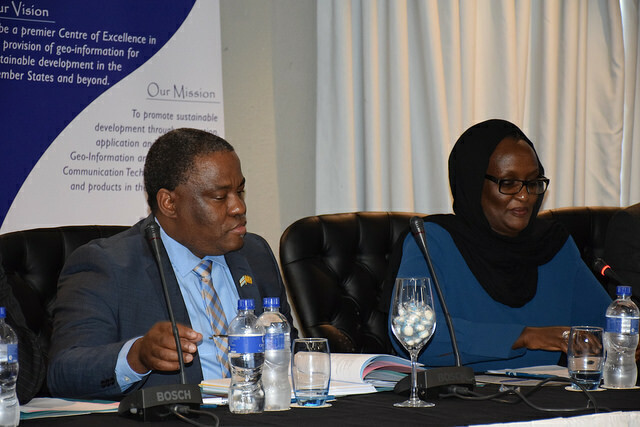 The minister said that he was grateful to offer the closing remarks of the 11th CoM, which was held in Kasane Botswana, where he was the Member of Parliament. He extended his heartfelt appreciation to the delegates who took part in the preparations and success of the event.